At times you might update to the latest version of iTunes but find that it has more problems than you expected and then decide to roll back to the previous version. Now the sinking feeling comes when you try to open iTunes only to find an error indicating that iTunes Library.itl cannot be read because it was created by a newer version of iTunes which prevents iTunes from launching. This issue brings the need to restore a previous version of your iTunes library to fix the problem and access your media once again. Here is what to do. Step 1: Go to the iTunes library folder. Step 2:	Locate the “iTunes Library.itl” and then move it to the desktop. Instead of moving it to the desktop you can also choose to rename it to something like “Damaged iTunes Library.itl”. Step 3: In the iTunes folder locate a subfolder “Previous iTunes Libraries” and open it. Step 4: There you will find all the versions of iTunes libraries that have ever been backed up with their dates “iTunes Library YYYY-MM-DD.itl.” Find the most recent file and copy it then move back to the iTunes folder and paste it there. 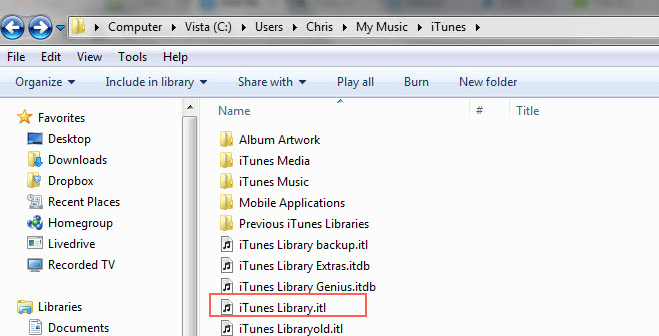 Step 5: Rename the newly copied file to iTunes Library.itl. Once you do that, you will have restored a previous version of your iTunes Library, and now iTunes now should launch without any issues. If it does not work still, repeat the process with the other previous libraries until you find one that works. Rebuilding your iTunes library from an older one manually, despite being effective way, has some few flaws. Any changes that you had updated after the library was created might be missing entirely. Now how do you avoid this? Well, iMyFone TunesMate iPhone Transfer. 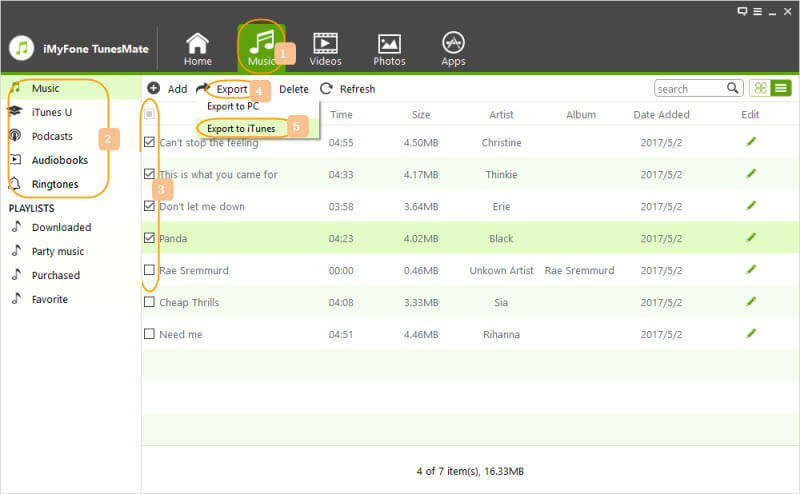 It is a third-party iTunes library management tool that is highly spoken of by users and well-known media. You can use to get back your damaged/missing iTunes library ensuring no loss of data, backup media files from any device to your iTunes library, restore your previous iTunes library with the backup on any device and at any time. Can restore lost, damaged or corrupt iTunes library by copying media files from your iPhone/iPad/iPod. Can enrich your iTunes library and music collection from an extensive number of iDevices and computers without any device limit. Can quickly add music to your iDevice from PC directly without even having to open the iTunes application. Can easily sync all iTunes songs to any iDevice with just a click using its 1-click transfer feature. 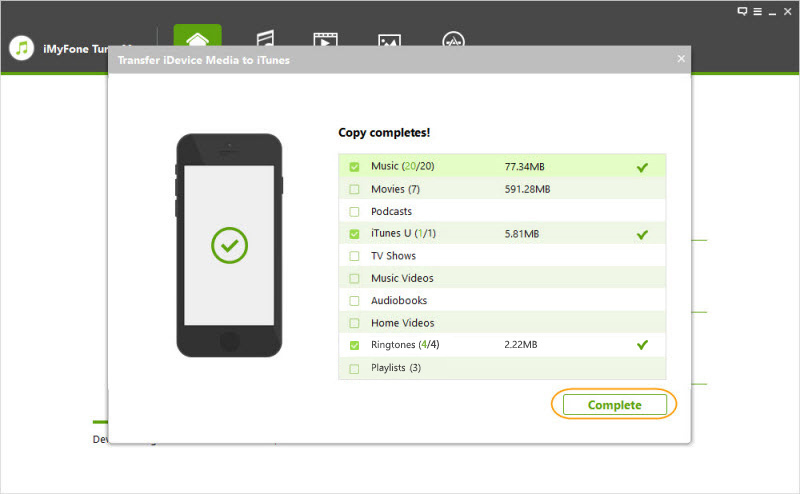 Can easily preview and select what to transfer to your iPhone and copy it without even deleting the old data and media content. Step 1:	Launch TunesMate on your computer and plug in your iDevice via a USB cable. 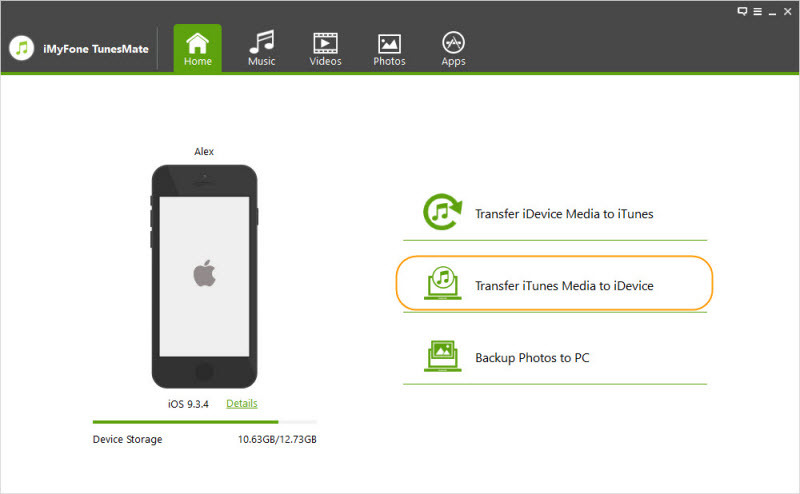 Step 2:	From the home interface click “Transfer iDevice Media to iTunes”, select the entire library to retransfer it back to iTunes and then click “Transfer” button to start the process. Step 3:	Once the process finishes click “Complete.” Once done this will effectively restore a previous version of your iTunes Library. Step 2:	From the home interface click “Transfer iTunes Media to iDevice”, select the entire library then click “Transfer” button to start the process. Step 3:	On the top bar tap on the “Music” tab to go to the music window. You will find all your previous data is on your iPhone now. Step 4:	Tap “Export > Export to iTunes” to retransfer your previous data to iTunes which will restore your iTunes library.